Thinking of enjoying some music next time your out on the water? 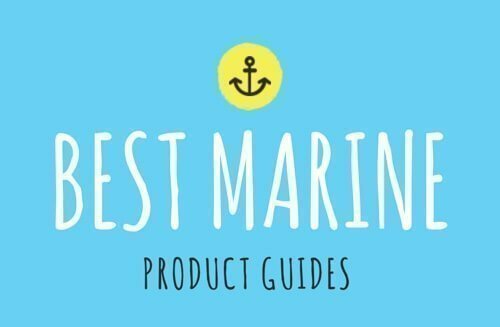 A marine speaker might just be what you need. And no, a regular speaker won’t cut it. Given the nature of the environment, only a speaker specifically designed to handle water and the weather elements is ideal. Listening to your playlist is the easy part. Unfortunately we can’t say the same about picking the right one speaker. The fact that these speakers are available in different types and sizes doesn’t make the selection process easier. Buy the wrong one and you’ll get poor sound quality which defeats the whole purpose. That’s why we decided to make your life easier by sharing all you need to know concerning marine speakers. Hopefully this buyers guide coupled with a few recommendations will help you make the right decision so the next time you’re out on the water, you have an unforgettable experience. Regular Speaker or Marine Speaker: Is There Really a Difference? The short answer is yes. Sure, at a glance they look pretty much the same. However the difference as mentioned earlier lies in the ability to handle outdoor environments and water. Only when a speaker conforms to the specific standards approved by international maritime regulations can it be sold as a marine speaker. This precaution - commonly known as marine certification - ensures the device is safe & reliable for the intended conditions. The first feature a marine speaker has that may be absent in a regular speaker is the waterproof capability. After all, regular speakers are mostly intended for indoor use. A special kind of gel is used to allow them to handle water and moisture in the air. 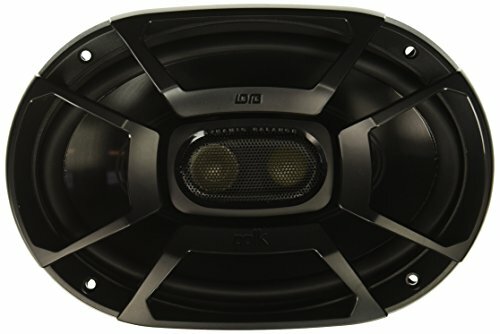 The size of the speaker will determine the ease of the installation process. It goes without saying: Larger speakers have better frequency responses. However before picking a size just make sure it can fit where you intend to install it; otherwise you may end up having to enlarge the mounting area. Like any other speaker you must consider the power handling capacity of the marine speakers. The general rule of thumb regarding marine speakers is: pick speakers that have enough peak power headroom so you are not always pushing it to its limits. You marine boat amplifier should have twice as much power as your speakers' power rating. Having a speaker without enough power may cause damage - especially if you crank up the volume as the speaker will be overloaded and you may end up damaging it. We’ll define impedance rating as the resistance any speaker gives to the current & voltage applied to it. Simply put: The speaker impedance will change depending on the frequency of the signal being fed to it. Considering the environment you use marine speakers in, a speaker with a higher impedance rating is best if you expect clear sound from your marine stereo. Here we’re basically talking about the sensitivity of the speaker. Know this: The higher the sensitivity rating of a particular speaker the louder and longer it will play with a certain wattage level. So best to opt for one with a higher rating. There are mainly two types of speakers namely box and flush mount. The type you pick will determine installation. Generally the box speakers are easier to mount mainly because you don’t have to drill holes into your boat to install them. Make sure there’s enough space behind the speaker if you want the best bass response. If possible use 18 gauge unstranded wires to connect your speakers because less areas of the wire are exposed to corrosion. Always ensure you connect your speakers with the positive terminals matched with positive side of the radio. The mounting depth can’t be too deep as it makes installation difficult. Here we have a speaker designed to withstand corrosion caused by harsh weather elements. The coated poly injection cone material makes sure of this. Not only is it resilient in extreme temperature but flexible. This flexibility means the speaker will produce great sound that will last for a long time. This 6” x 9” speaker is ideally suited to use with water craft and is available in a sleek white. So if your boat has a white interior this might be for you. It also features an aluminum coil which is known for its ability to resist corrosion. And the best part is it’s non-magnetic. Thanks to the same coil the speaker will perform exceptionally well in high compression environments. With regards to power handling, it can handle up to 350W of peak power. For additional protection it comes with a durable white plastic cover. The only major downside is they’re a bit deep. You may have to chip off a big portion of the insulation foam for easier installation. Fancy a black marine speaker? This one is for you. Just be prepared to pay a bit more for these three way speakers with marine certification. Installing these will literally take you a couple of minutes. These nifty gadgets are known for their high performance abilities. The IP55 rating attests to that. Polk audio speakers are known for their signature quality sound and this model is no exception. Not only are they water resistant but also dirt resistant so they’ll last longer. This is thanks to the polypropylene and UV tolerant cone which is waterproof. However on the downside, if you want a speaker with a high mid bass this isn’t for you as it’s quite minimal. This is the most expensive marine speaker on our list. So if you’re looking for a high end brand this is it. But is the price justified? With a 90W power handling capacity (per speaker) we’d like to believe so. Also the peak power is 180W which is certainly more compared to other brands within the same price range. The mounting depth is around 3” which in our opinion isn’t that deep as it allows for easy installation. Like the Polk Audio speaker it’s also made of a polypropylene cone and a rubber seal which makes them durable as well. What sets it apart from the rest is it features speaker grilles which are also removable. Installation isn’t that quick with these speakers though so be prepared to spend some time when installing these on your boat. These infinity speakers are worth considering if you’re looking for budget marine speakers that won’t compromise on sound quality. Plus if you’re a fan of the color white, you’ll love the stylish look. 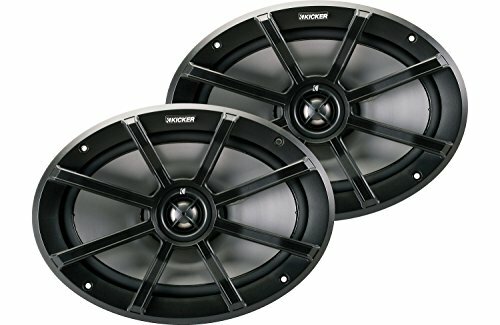 These two way speakers both have a power handling capacity of 300W and a frequency response of between 36 to 20,000Hz. Installation is easier because they aren’t as deep. Like some models reviewed above the mounting depth is also around 3”. Weighing only 8.8lb they are not as heavy as others. The only cause of concern regarding these speakers is the construction quality. The attachments appear flimsy given that the tweeter is glued to the grill as its only method of attachment. This in turn makes the durability questionable. 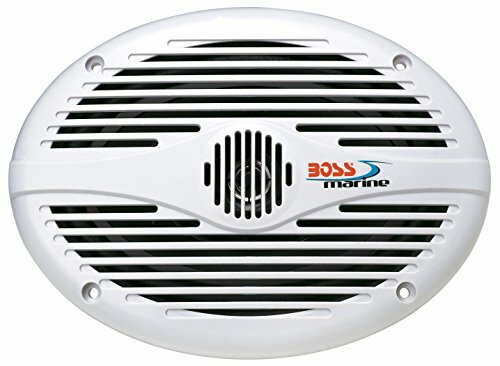 Not willing to part with much cash but still want a marine speaker? 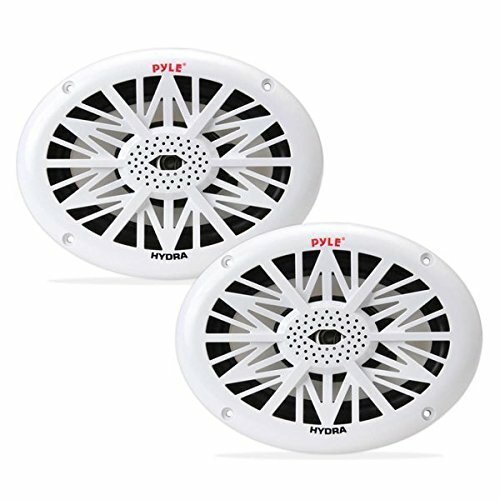 This Pyle speaker is the cheapest on the list. But don’t for a second think the low price means it’s a low quality product. On the contrary a number of users are surprisingly impressed with the quality of sound it produces. 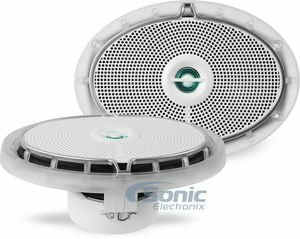 These two way speakers are also waterproof and the low profile design means you can use them on your boat or by the pool. As if that’s not enough, they’re designed with mesh covers which are rust proof. This ensures adequate protection against harsh weather elements. They are pretty easy to install and come complete with the necessary wiring & mounting hardware. Hopefully at least one of the above speakers is exactly what you’re looking for. Just make sure you check the measurements before purchase to avoid disappointment. Now, pick one and enjoy your favorite playlist on your next cruise.